It was our first time exhibiting at New Orleans Jazz Fest and it was nothing short of exhilarating. 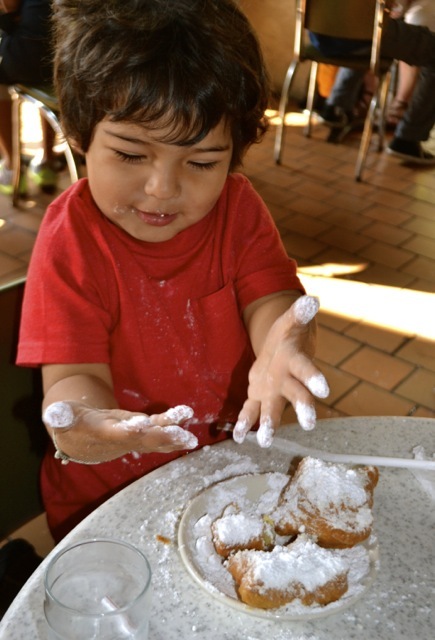 Neither Coco or I had ever been to New Orleans so we took a few extra days to explore the city. We loved everything about it… the food, the people, and of course, the music. But what really captured our attention was the community support of artists of all types. 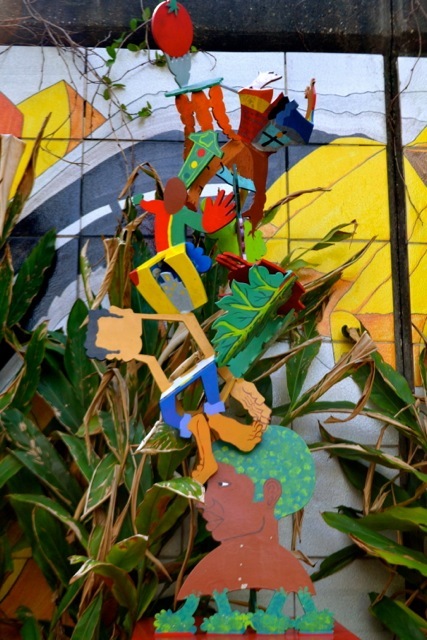 We were blown away by the support of local artists, street musicians, and artwork in all mediums. It seemed everywhere you turned, there was some expression of creativity. We saw the most fun street art, clothing, automobiles and front porches of any city we have ever visited. 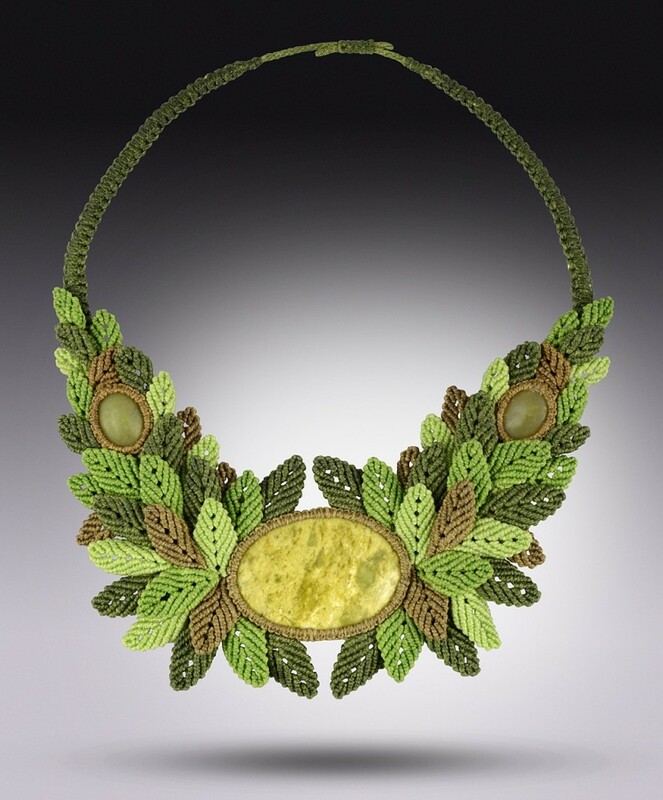 Peruvian artist Coco Paniora Salinas, who lives in New Jersey, learned the fundamentals of making macrame jewelry from his mother, a traditional fiber weaver. The soft colors, complex botanical shapes and raw embedded gemstone lend his jewelry plenty of visual punch. But the restrained composition of the designs preserve a certain elegance. 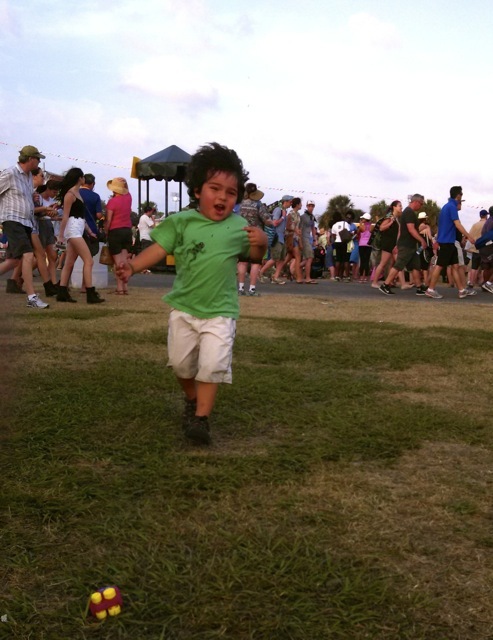 Look for Salinas in the Contemporary Crafts area, tent G.
The fun only continued once Jazz Fest began. Coco enjoyed meeting many new customers, while Mayu and I explored the music and artist tents. I introduced Mayu to the music of the headliners Santana, Public Enemy, Phish and Eric Clapton, but he was most moved by the rhythms coming out of the Jazz, Blues and Gospel Tents. He couldn’t help but dance and wriggle to the incredible beats. All in all, we had a fantastic week in NOLA! 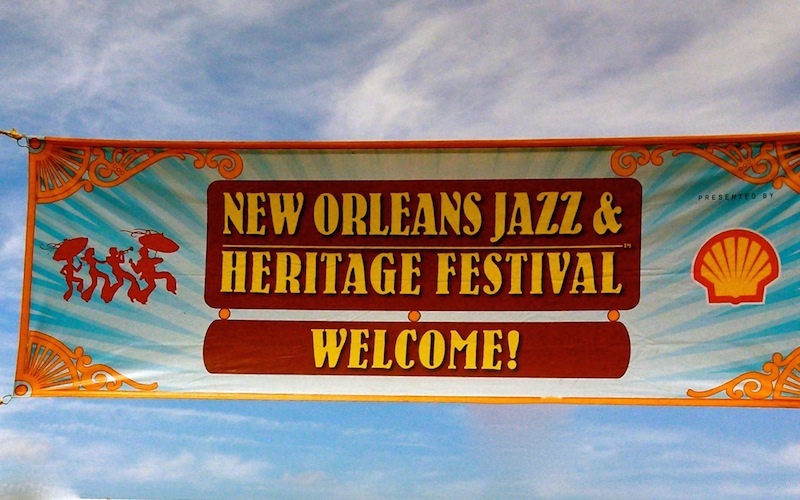 We hope Coco will be invited back to New Orleans Jazz Fest next year!